For many of us, the hot weather of summer time conjures up memories of ice cream, popsicles, sno cones and other cold treats. 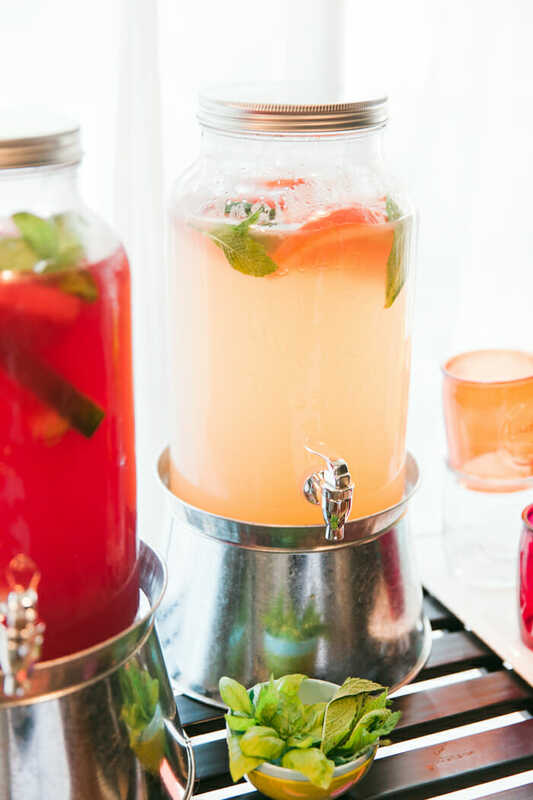 For me, the ultimate summer treat is a big batch of “aguas frescas”. It’s one of my favorite things about my city – there are so many places and flavors to sample. Aguas frescas (literally “fresh waters”) are a blend of fruit (or cereals, herbs, veggies, flowers or seeds), water and sugar. 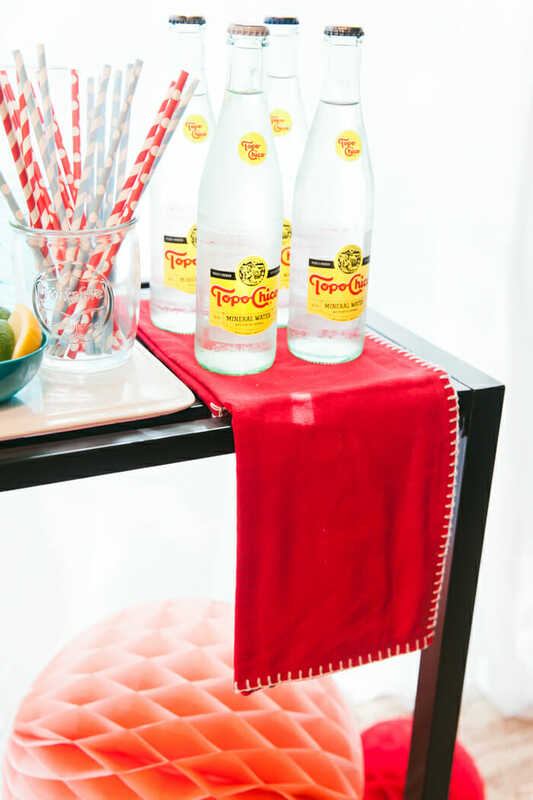 They are much lighter in flavor and less sweet than a fruit juice or even something like lemonade – and an aguas fresca bar is perfect for parties. 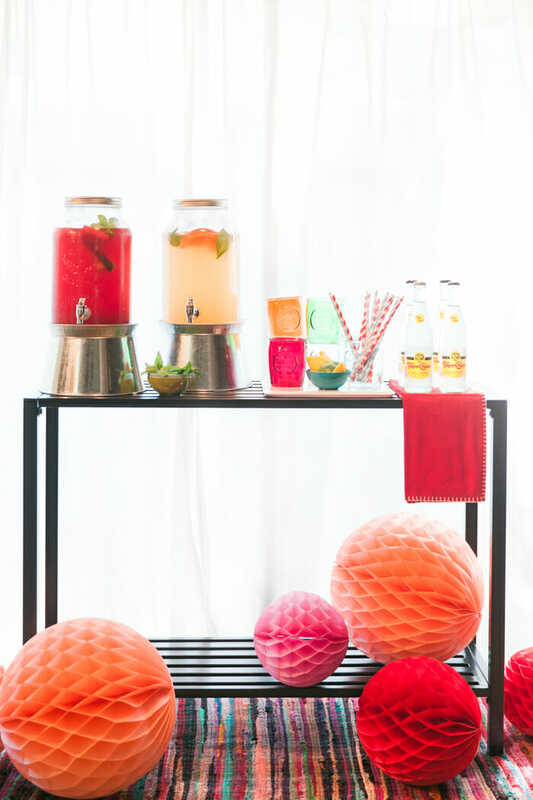 When planning a summer party, I love to include a yummy aguas fresca bar for guests to cool down with in an easy to serve from drink station. Here’s how to recreate it. And the best part, is I got everything a one of my favorite stores: At Home! 1. A sturdy base or table. This is technically an outdoor table – but it makes a great indoor stand-in and is the perfect height to serve from. When the party is over, it goes right back out to the porch! I soon as I saw it at At Home I thought it would be a great table that I could use over and over again! 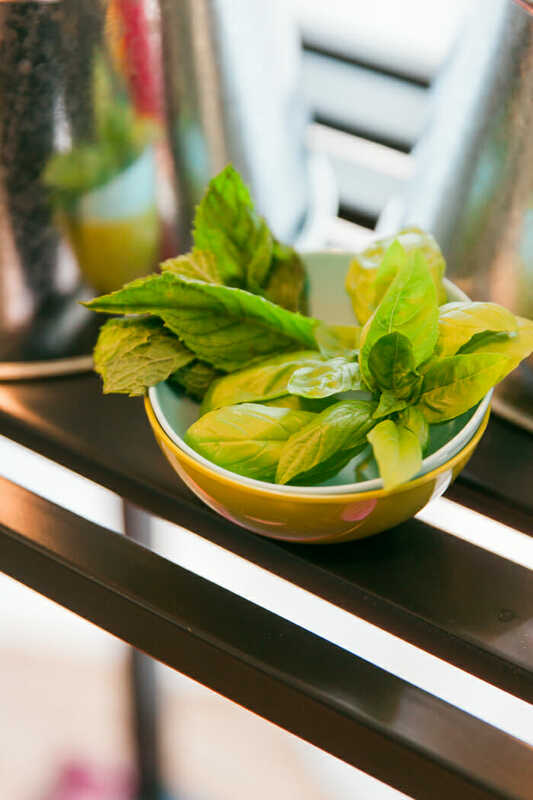 Watermelon, cucumber and mint are one of my favorite combos and grapefruit + basil is a surprising crowd pleaser. Anytime I use an herb in the recipe, I infuse the favor into the simple syrup AND have extra for garnishing. 3. Garnishes make the drink special! 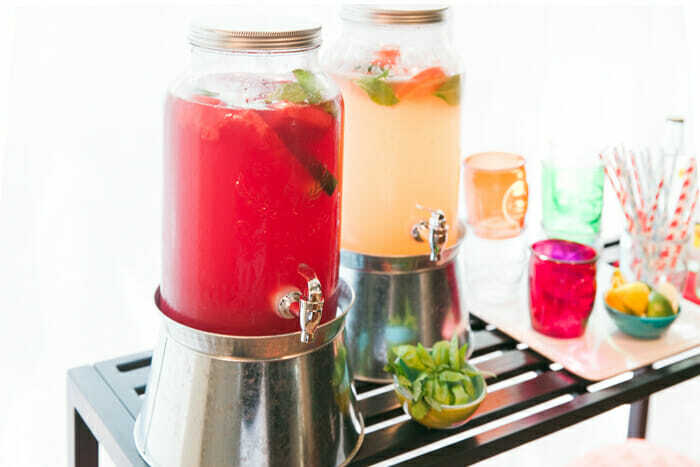 A squeeze of lime or a waft of mint can take a glass of aguas frescas to the next level. Layer colorful plastic bowls filled with garnishes for added interest. 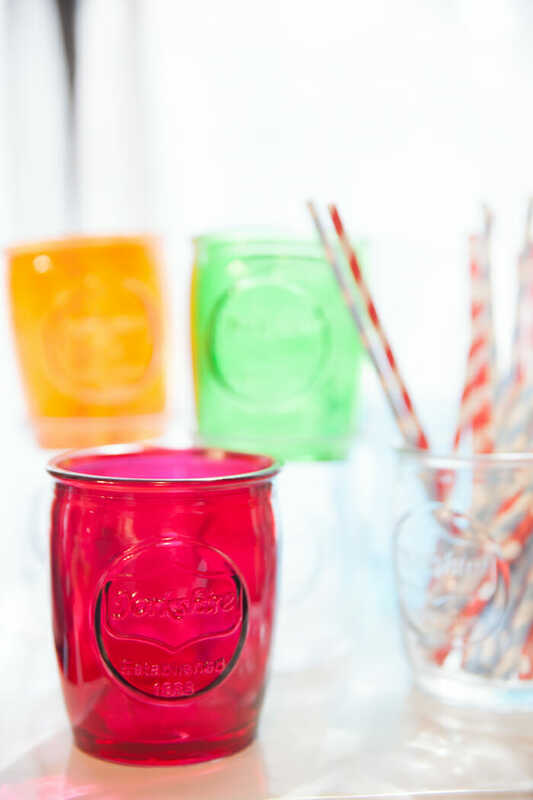 At Home has a wide selection of plasticware for any occasion or season. 4. Easy to hold glassware. 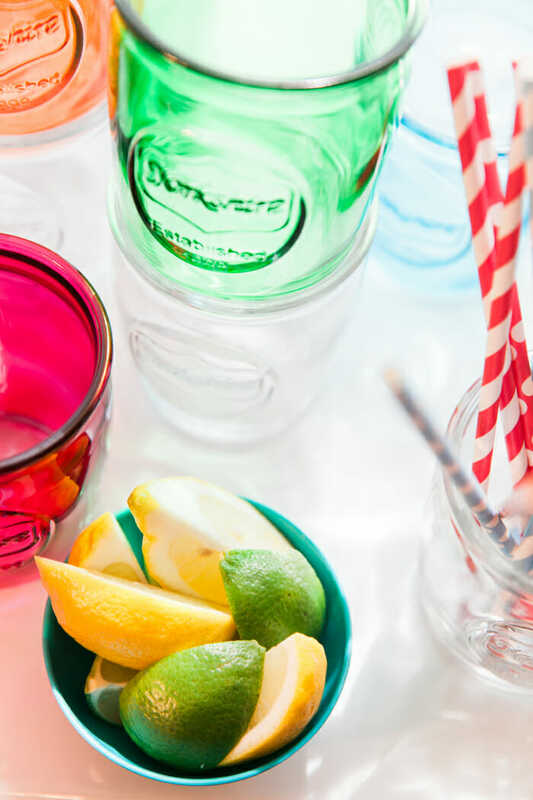 Paper or plastic cups are fine – but I love having heavy glassware to use with guests, too. 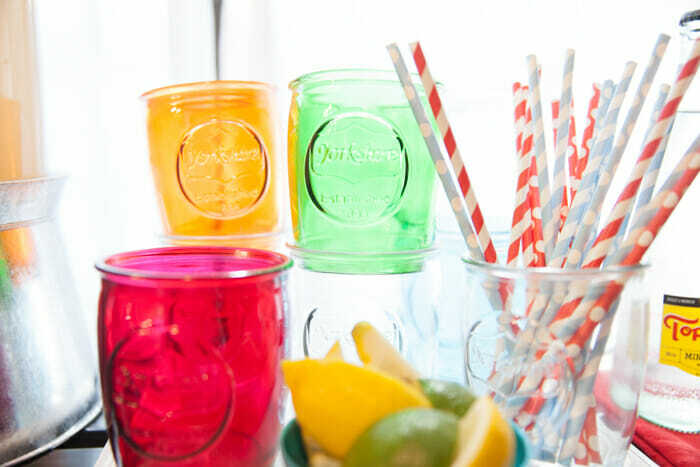 A mix of colored and clear glass is fun, adds color to the table and potentially helps guests keep track of their glass! 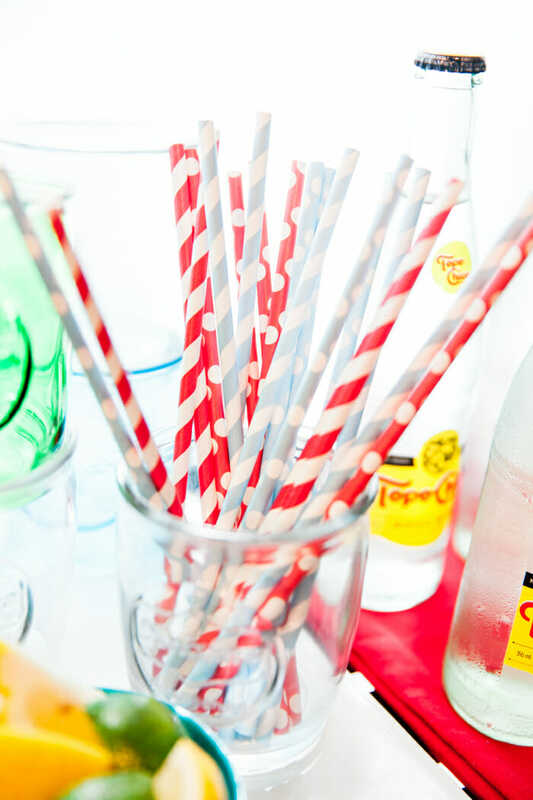 You can never have too many straws! Add color and keep “bottle sweat” contained with decorative kitchen towels. I like mixing half sparkling water with my aguas frescas for an effervescent experience. The bottles don’t need to be iced but if I pull them out of the fridge, I like to have a pretty kitchen towel under them to catch any drips. These jar dispensers are just the right size and have their own pedestals to sit on, elevating them off the table for easy pouring. At Home also has a variety of products perfect for entertaining guests just like these. 8. Colorful, washable rug to catch drips. 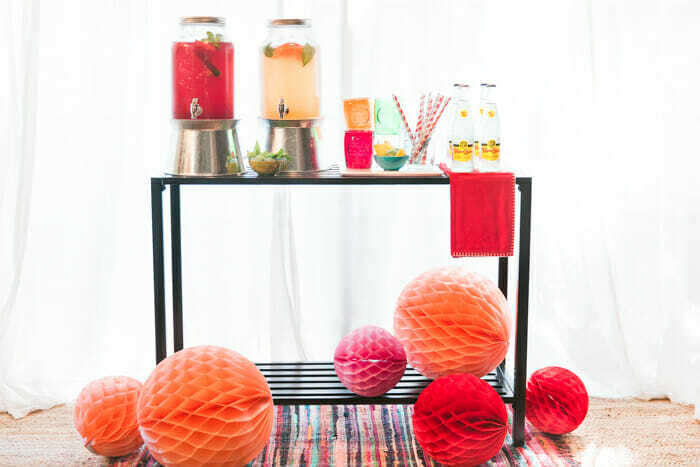 Hosting a party that includes any colorful drink can be stressful – no one wants to clean stains off the floor. 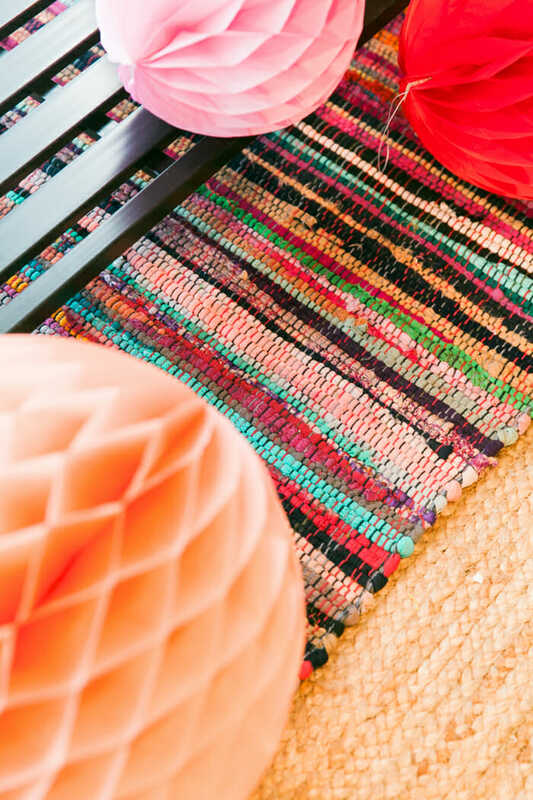 To protect my kitchen rug, I layered a colorful and most importantly, washable rug to catch any drips or spills. 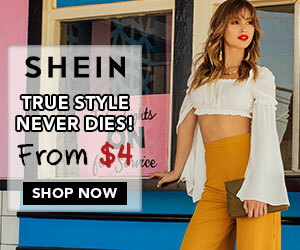 Great ideas and pretty colors!! I’m going to have to try the grapefruit + basil flavor together.